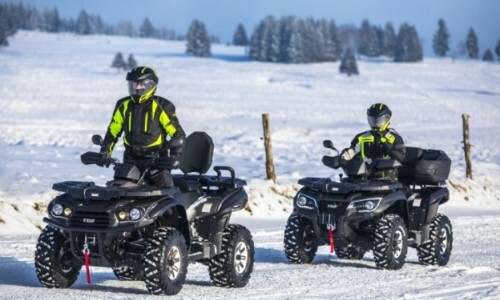 Utility and recreational ATVs from official authorized distributor for the Czech Republic, Slovakia, Poland, Romania, Croatia and Slovenia. 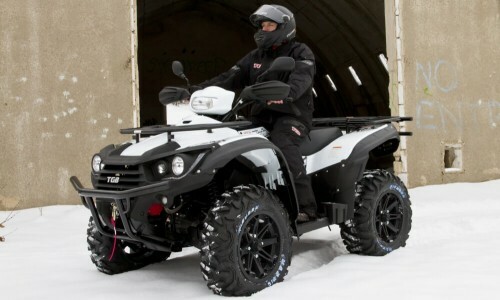 Popular TGB ATVs are versatile recreational / utility machines with an independent front and rear suspension, powerful EFI engines, modern construction and attractive design. Designed to be rough and rugged they are capable of reaching even the remotest of places. 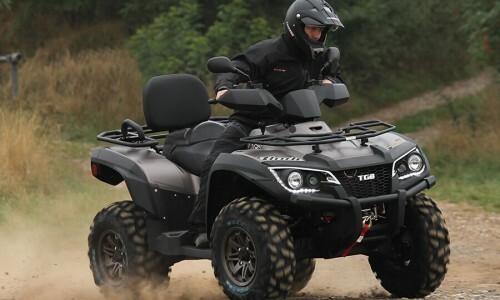 TGB ATVs offer a great array of genuine accessories already in the base price. 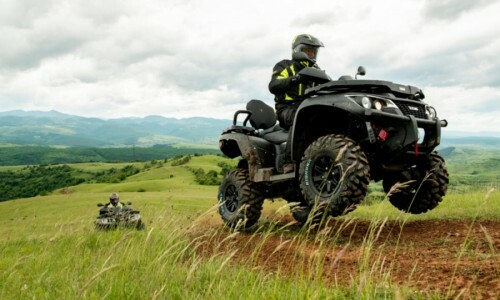 TGB ATVs were many times awarded as the best-selling ATVs in the Czech Republic and France, won several "Quad of the Year" awards all over the Europe including "Quad of the Year" in Germany as the best ATV in 300-550cc class. TGB model lineup also offers LT models with extended chassis featuring comfortable 2-up seating with padded passenger seat. Compact and versatile recreational / utility award winning TGB Blade 550 and its sporty sibling Target 550, both equipped with an independent front and rear suspension and powerful EFI engines, are fitted with a wide array of genuine accessories included in the price. Blade 1000 LT combines cutting-edge technology, years of TGB experience, extreme pulling power, and unique 4x4 drive with front and rear locking differentials for extremely easy riding on hard surfaces. 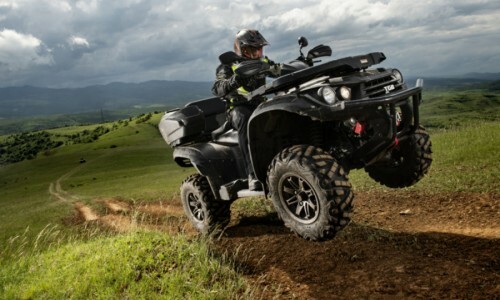 With TGB 1000 LT introduced its best and most powerful ATV. Fully equipped two-seater LT versions feature two separate comfortable seats and extended wheelbase providing enhanced high-speed stability and more confident climbing ability while maintaining superior handling and riding comfort of short-wheelbased models. 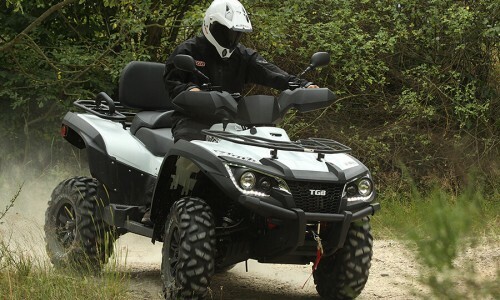 TGB LT versions can do all the hard ATV work, but with great cruising talent for trail fun. Personalize your ride with Genuine TGB Accessories! 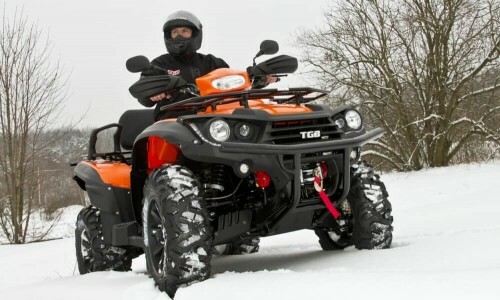 We offer wide range of Genuine TGB Accessories, SHARK Professional snow blades and aluminum skidplate sets, Heat Demon heated accessories, ITP tires and wheels, TJD snow tracks and much more. Our dealers will help you choose the best accessories for you and your ATV that will best meet your needs. Our customer care does not end by sale and delivery. We offer professional after-sales service and fast delivery of original spare parts. We constantly strive for high professionalism of sales and service staff in our strong dealer and service network. With more than 400 locations all over the Central and Eastern Europe we are always close at hand when you need us. We permanently hold an extensive stock of original spare parts and accessories at our central warehouse in Letkov near Pilsen, so we can deliver them within the shortest possible timeframe. With TGB original spare parts you can be always sure that they will fit, are designed to the exacting manufacturer´s standards and work better and last longer than aftermarket parts to keep your ATV in best possible operating condition. TGB Motor Co., Ltd. is the leading Taiwanese manufacturer of quality ATVs, which are successfully exported to the leading markets in Europe, USA and all over the world. TGB Motor Co. has modern R&D center with professional team which designs and develops new ATVs, engines and technologies. Besides ATVs, scooters and engines production, TGB Motor Co. is one of the world´s largest manufacturers of CVT - Constant Variable Transmissions for ATVs and scooters. Main customers are Piaggio, Rotax, Peugeot, Minarelli, Motori Morini, Polaris, SYM, Can-Am, Aprilia, BMW and many others. TGB Motor Co., Ltd. was established in 1978 as Piaggio subsidiary for manufacture of Vespa scooter parts. Company later produced complete Vespa scooters for Taiwanese market under Piaggio license. Soon TGB developed a brand new line up of scooters with own design under the TGB brand. Major milestone in the TGB Motor Co. history was start of ATV production of indigenous design and construction. TGB today is leading Taiwanese manufacturer of ATVs, scooters, engines and CVTs (Constant Variable Transmissions), which are exported all over the world. Main markets are USA, Japan and Europe, mainly France, Germany and Italy. Since 1995 TGB Motor has adopted production quality management standards ISO 9001 and QS 9000.